A tropical garden in Singapore – not as it exists in a photorealistic representation but in our vision and in our memory: With this project, we embraced and even enhanced glitches which result from an approach to capture the garden for an immersive virtual reality experience with photogrammetry from eye level and bird’s-eye view. 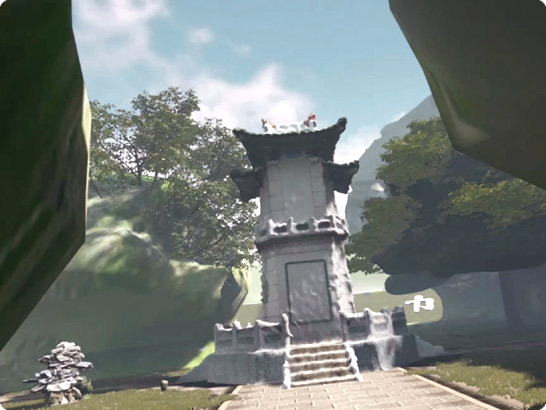 In the room-scale VR-experience, users are invited to walk around and explore the monuments, greenery but also jump into pavilions and caves and listen to the soundscape to stimulate their fantasy how it might feel to be in a garden in which history and future merge. The production of the work was kindly supported by NTU Singapore and the Ministry of Education Singapore.